$319,000..... With Special Buyers Incentive! Put this in escrow by Valentines Day 2016, and the sellers will pay 6 months of maintenance fees in advance, at close of escrow. 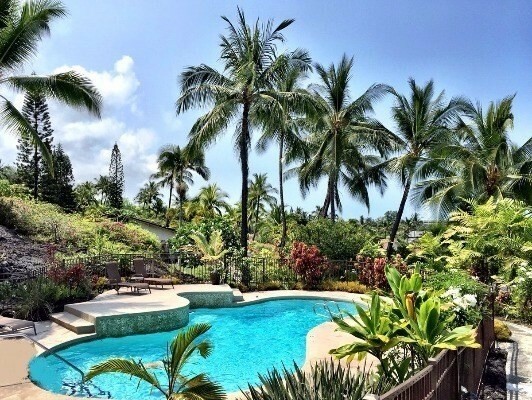 Are you looking for a desirable vacation condo or a well appointed home near the beach? 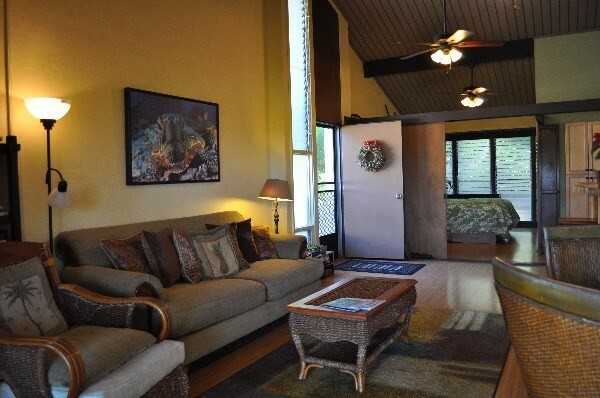 Keauhou Resort, a well-known vacation destination, where vacation rentals are approved, may be the place!. This spacious private condo resembles a townhouse: no one above, below, or to the north, with only an adjoining wall to the south side. Enjoy partial ocean views with single floor living, 16-foot ceilings, and a 200 square foot porch/lanai. Sliding glass doors to the lanai and louvered jalousie windows in the bedroom allow for a clear air flow of tropical breezes. Just a few of the upgrades include: rain tree forest marble in the bath area, granite kitchen counter tops, a hand crafted Monkeypod wood bar top, maple cabinets, front loading washer and dryer, a Brazilian hardwood lanai, and more-see photos. 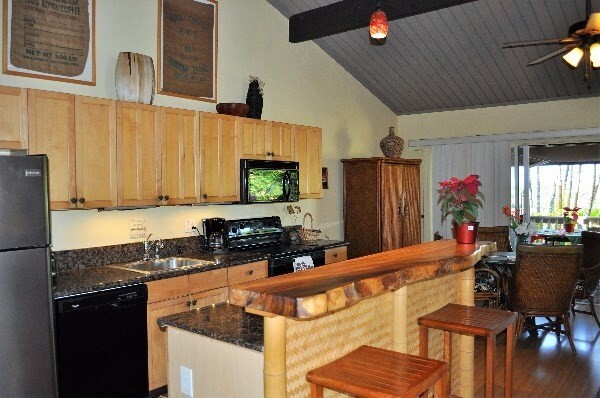 Keauhou Resort is one of the few resorts that allow small pets. You can also grill on the lanai for outdoor cooking. The condo has been a successful vacation rental in the past and marketing verbiage and photos will be included in the sale. Furnishings are available with the home if needed. Keauhou Resort #76 from Lance Owens on Vimeo.